Press release – The Supply Chain Initiative reaches 1.000 registrations at national level. The SCI One year on Even took place on 20 January 2015. Here is an insight of what happened on that day. 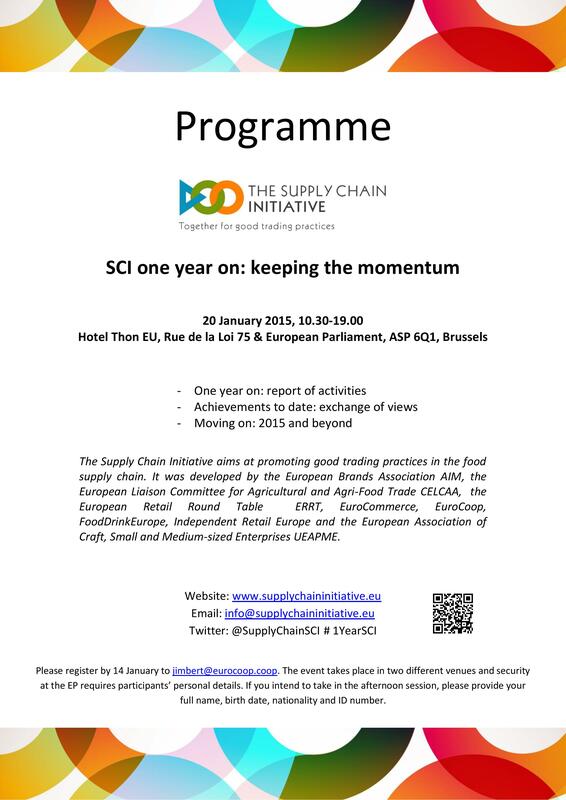 The Supply Chain Initiative (SCI) publishes today its first Annual Report on the occasion of a conference held at the European Parliament. 14 months after its launch on 16 September 2013, the Supply Chain Initiative (SCI) is proud to publish its first annual report providing a comprehensive overview of what it has achieved in its first year of operations. It includes the results of an independent survey that gives added insight into the functioning of the SCI. 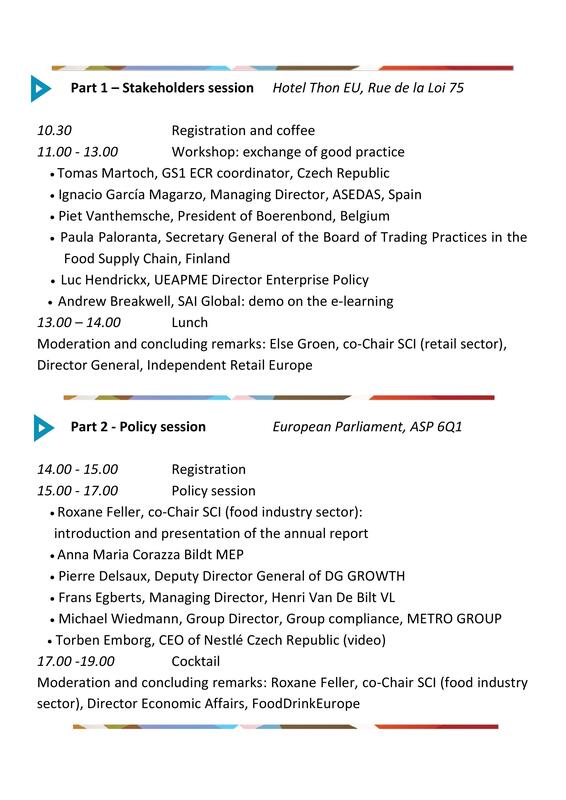 In its Communication on ‘Tackling unfair trading practices in the business-to-business food supply chain’ published on 15 July 2014, the European Commission expressed its support to The Supply Chain Initiative. The survey will be open from 1st September to 30 September.